Museum of Contemporary Art of CAA, MCACAA, China. 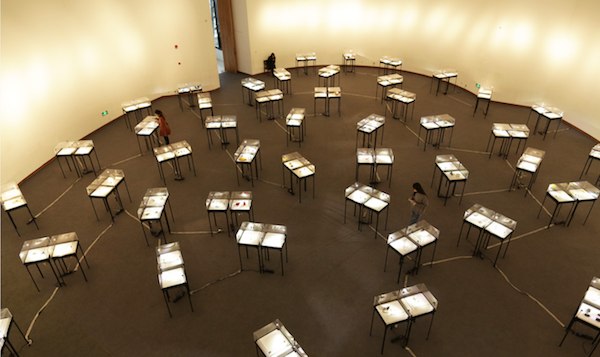 Hangzhou Contemporary International Jewelry and Metal Art Triennial 2015. This exhibition is focused around the relationship and dialogue between the concept, materials, body and space of jewelry creation and metal art, in order to explore the transition of contemporary jewelry and metal art from “alchemy” to “casting body”, from material aesthetics to conceptual art and from space modeling to body language.